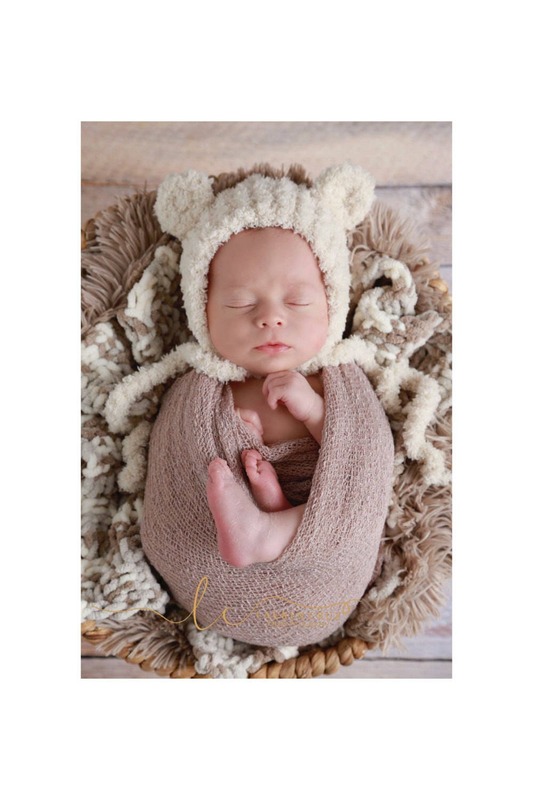 This adorable bear hat is really soft and perfect to pair up with our swaddle wrap. The breathable stretch wrap is loved by photographers because it is really soft and luxurious. Wrap measures a generous 12 x 55 laying flat and up to 39 x 72 when stretched! Choose the hat, the swaddle or set of both on checkout. 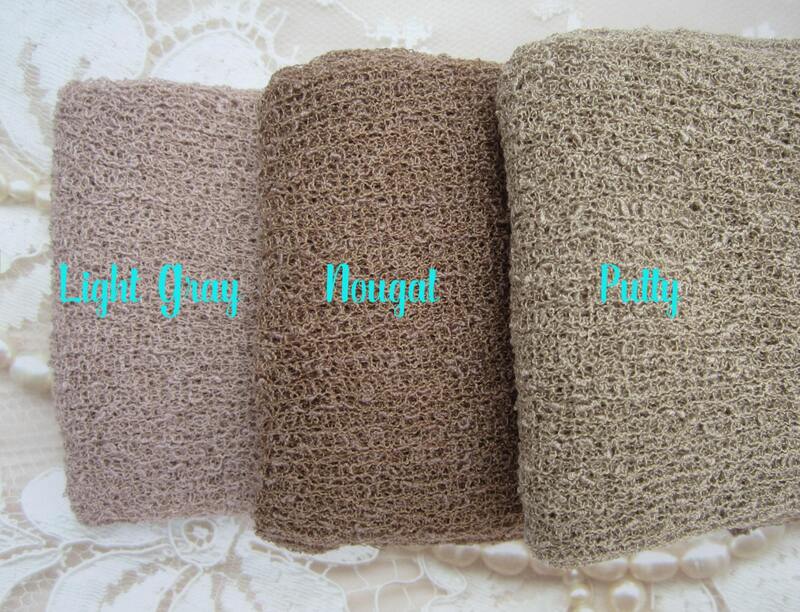 Color wrap shown in model photo is called Light Gray, however, it is a more of a taupe color, bear hat is Ivory. The bear hat and wrap are super soft, stretchy and of great quality. So excited to use these for a photo session. Arrived promptly and as described. Looking forward to having my little guy wear these for some newborn photos when he arrives. Thank you! The bear hat arrived fast and is very soft. I ordered both the wrap and hat but ended up only using the hat because the wrap I ordered didn’t match the hat. My mistake for not reading the description carefully. Still happy with my purchase because the photo turned out beary cute.